Among the city's suburbs, Bellevue has the distinction of being a true walking town. Situated north of the Ohio River between Brighton Heights and Avalon, it's outside city limits, yet completely livable even if you don't have a car. And if you do take a stroll down Lincoln Avenue, the street running through Bellevue's business district, don't be surprised if you run into Sabatino DiBattista. He'll be the diminutive, gregarious man everyone says hi to. Known around town simply as "Sam," DiBattista is one of the movers and shakers who seem poised to make a name for this suburb of 8,200 people. 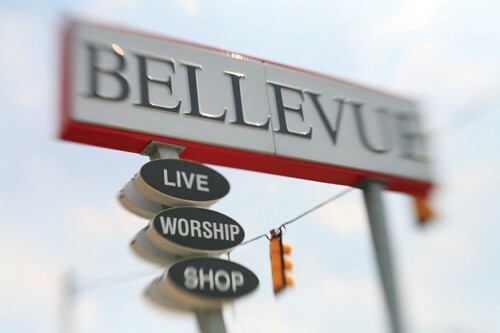 Bellevue occupies all of about a square mile, but the scope of its ambitions are suggested by the famed "Live/Worship/Shop" sign along Ohio River Boulevard. And DiBattista himself shares that mixture of fervor and business-mindedness. A chef by training, DiBattista opened an upscale restaurant, Vivo! 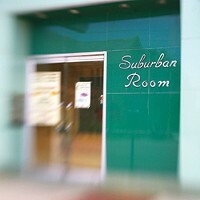 (565 Lincoln Ave., 412-761-9500), in 2000. "People looked at me like I was crazy, opening a restaurant like this in Bellevue," he recalls. It stuck, though, relying on the appeal of a verbal menu that changes daily. Seven years later, the award-winning eatery persists, drawing customers from throughout the region. "An upscale restaurant is the kind of thing that brings people into a town," DiBattista says. And if all goes according to plan, they stay to see the rest. 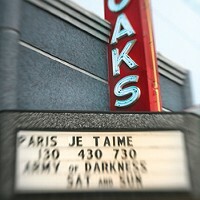 In Bellevue's case, encouraging them to do so poses a special challenge: A dry town, Bellevue has been compelled to develop ways of entertaining that don't involve a trip to the bar. 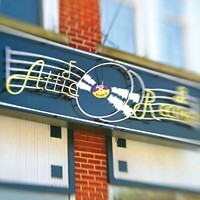 To that end, DiBattista opened Affogato Coffee Bar (613 Lincoln Ave., 412-761-0750) in 2003. (Last year, he turned over the reins to the current owner, Victoria Green.) Dubbed "the big red A" or just "the A" because of its distinctive signage, Affogato has a menu board full of coffee-shop standards and decadent pastries. Its most appealing factor, though, is the hip-yet-homey atmosphere: Chairs and couches populate a spacious room, and both the rear and the side have grassy seating areas. If the pastries at the A weren't enough for you, Bellevue hosts two independent bakeries, a feat for a town of its size. Lincoln Bakery (543 Lincoln Ave., 412-766-0954) and Barkus Bakery (561 Lincoln Ave., 412-761-7778) peacefully coexist in the center of town, a tribute to Bellevue's sweet tooth. Nearby lies yet another business with Sam DiBattista's hand in it. 517521 (517 Lincoln Ave., 412-223-2552) is a jumbled resale and art store teeming with who-knows-what: records, cassette tapes, turntables, African masks (genuine), clothes ... it's impossible to provide a complete inventory. Still, DiBattista's love of audio equipment shows: Speakers of all sorts abound. Homemade Frankenspeakers of sorts are the trend of late, with woofers and tweeters cobbled together into new formations with an eye for the aesthetic. 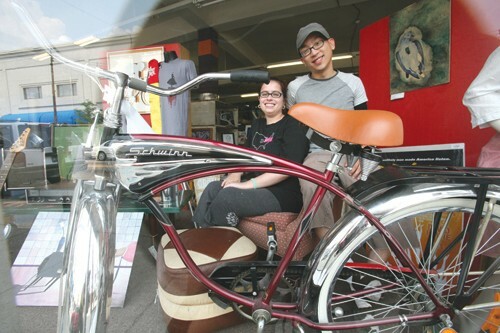 DiBattista and his business partner, Andy Rubacky, recently turned the store over to new owners, Leslie Beard and EJ Villegas. On the building floor just above 517521 is the space that has truly put Bellevue on the arts map: the Creative Treehouse (724-910-9947), brainchild of graphic designer Jesse Hambley. The facility was opened recently as a studio space for artist members; to become a member, one goes through a screening process, then pays a membership fee that grants 24/7 access to the space. Desks line the walls, open spaces allow for freedom of motion, a darkroom is available, and a backdrop allows photographers to take studio shots. The Treehouse is also a meeting place of sorts: Most recently, Pittsburgh Podcamp, a group that holds workshops on blogging and podcasting, had an event there. Last month, a one-time event called Doughnuts and Art merged two admirable pastimes into one. Hambley hopes in the near future to organize a gallery crawl event akin to those that occur in city neighborhoods and suburbs like Sewickley. Susan Matthews is of the same mind; she runs the Matthews Art Gallery (12 N. Balph Ave., 412-761-0301). Located just off Lincoln Avenue, the gallery specializes in works by local artists. In the meantime, artists and others can recharge at the Mojo Bistro (172 Lincoln Ave., 412-761-2828), run by husband-and-wife team Paige McGarity and Matt Lydic (who also rehab apartments on the upstairs floors and elsewhere in town). The Mojo provides a quick coffee or, if you're willing to sit a spell, a snack or meal; its eclectic menu ranges from a stack of sweet potato fries or a sumptuous cup of asparagus soup to a full entrée such as shrimp and grits. Not unlike several other neighborhoods that have turned into arts havens in recent years, Bellevue is in flux. There are some vacant storefronts, to be sure, and the Family Dollar discount store on Lincoln does as much business as anyone in town. A few art galleries and a perch above Ohio River Boulevard do not a Sewickley make, the more affluent might sniff ... but then, perhaps Bellevue doesn't envy Sewickley. Arts facilities and fine dining pepper a street full of friendly, regular people: That fact alone lends Bellevue a comfort that few affluent suburbs can counter. Perhaps it will even be enough to entice a few city dwellers to hop on a 500 bus and venture out of the East End.